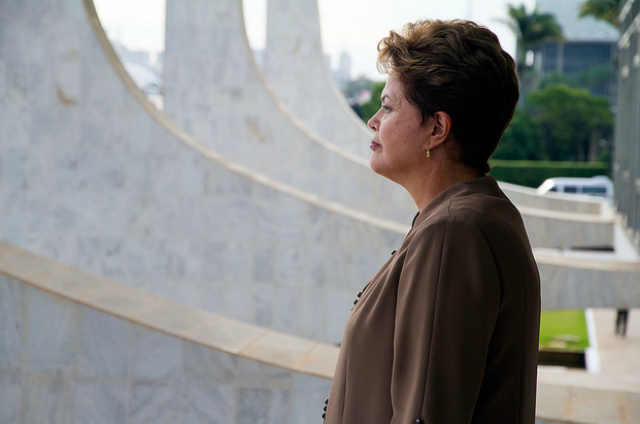 Brazilian President Dilma Rousseff (25 March 2013). Photo by nznationalparty via Flickr. We only need one more element, and our mixture will be ready to combust. Petrobras is Brazil’s largest corporation and one of the world’s largest oil companies. The firm has considerable technical and economic capacity, and it was responsible for the discovery, in 2006, of gigantic ‘pre-salt’ deep sea oilfields hundreds of miles from the Brazilian coast. Dilma Rousseff, as Lula’s Minister of Mines and Energy, was responsible for handling exploration contracts in these areas including large privileges for Petrobras. The enabling legislation was vigorously opposed by PSDB, the media, the oil majors and the US Government. Read more. To continue reading this post please visit Brasil Wire (where it was originally posted).